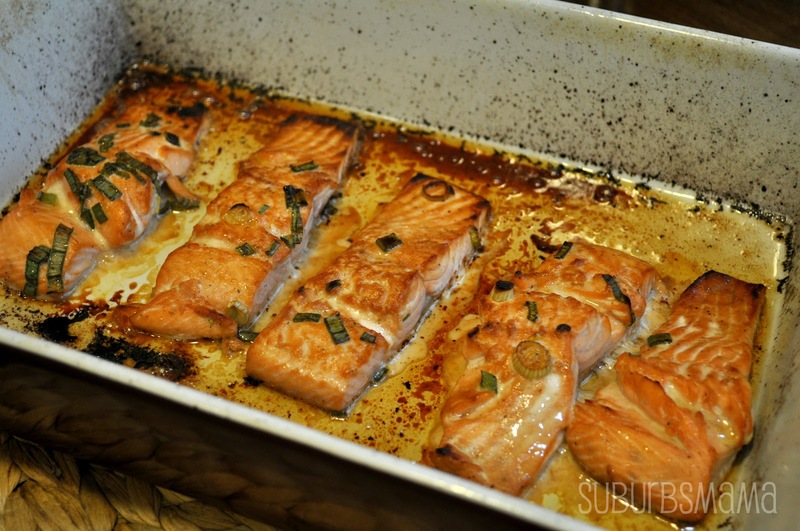 Spray baking pan with oil. 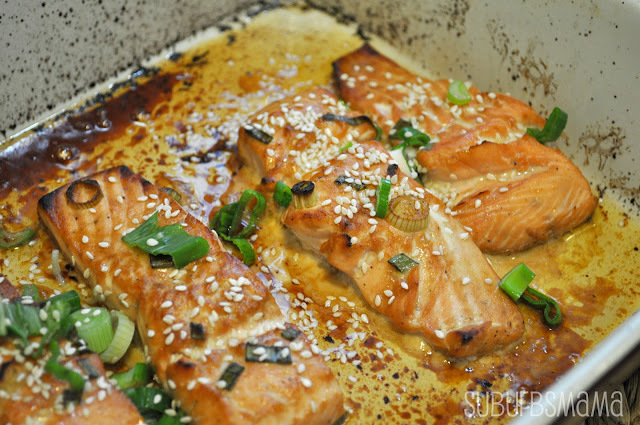 In a large bowl, combine olive oil, sesame oil, soy sauce, garlic, ginger, vinegar, brown sugar and whisk well until combined. 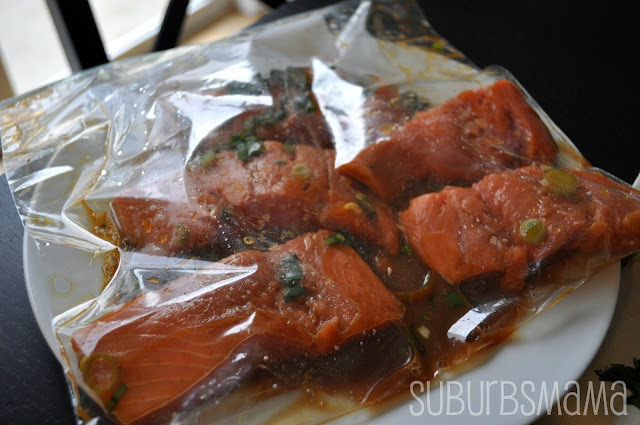 Add salmon to the dish or place everything in a ziplock bag, then refrigerate and marinate for 30 minutes. Remove salmon and place onto your greased baking pan. Sprinkle with a little bit of salt and pepper, then place directly under the broiler. 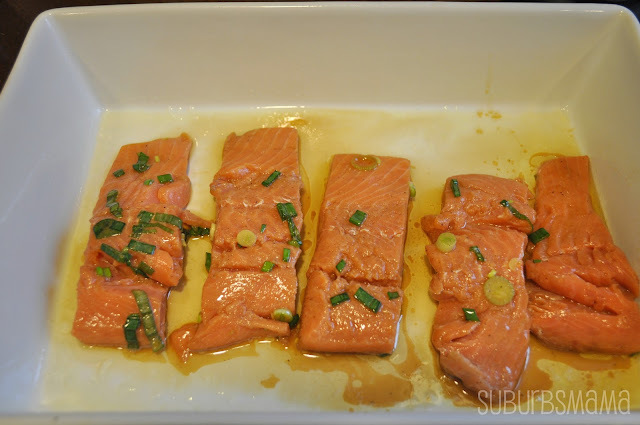 Cook for 10-12 minutes, depending on the salmon’s thickness (our’s was just about an inch thick), until golden. 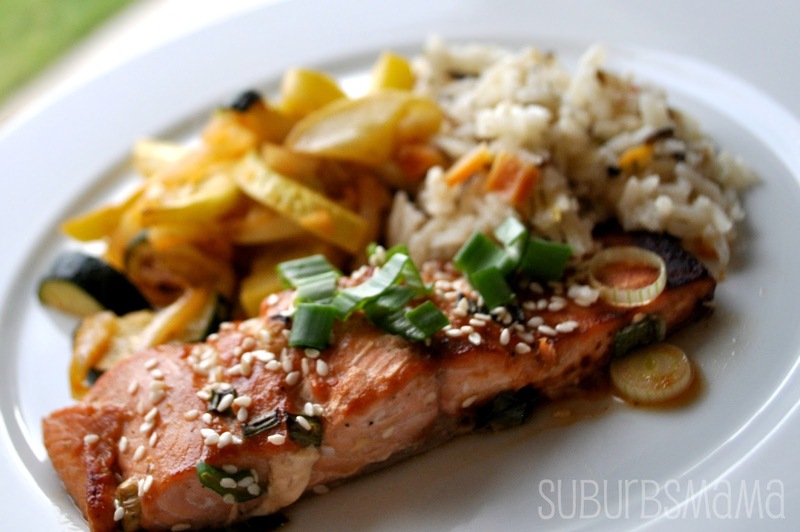 Remove and serve immediately, with a sprinkling of toasted sesame seeds and green onions. Thanks for visiting, Hope you have a wonderful day. 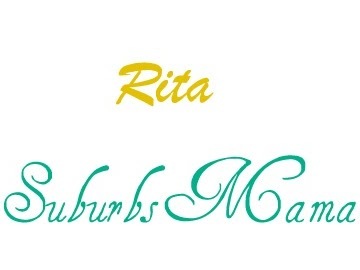 thank you so much for checking out and following my blog! it's sweet bloggers like you that make blogging worth it :) Love the feel of your blog here. And holy cow this looks Delicious YUM! This looks delicious! 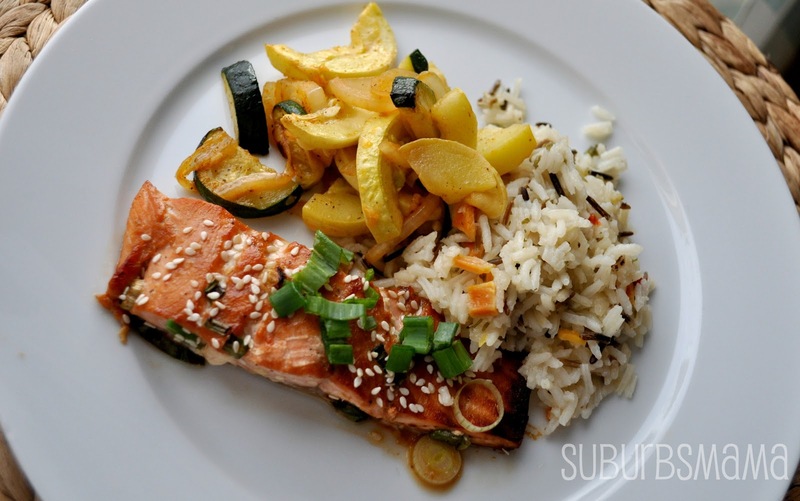 We love salmon at my house..I'll be making this one for sure!